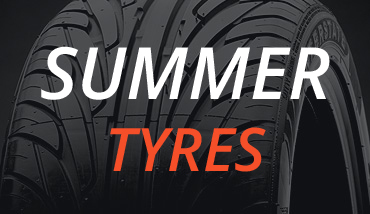 Summer Tyres (or all season tyres) are designed to perform best on dry and wet roads above temperatures of 7°C. Manufactured with softer rubber compounds, they help improve with steering precision and handling. If you own a set of winter tyres you should consider changing these to summer tyres during the warmer months. Typically between April and October Summer Tyres are always the best fitted on vehicles. Dry roads and moderate weather conditions tyres have to meet our safety standards as well as today’s high driving demands.